How do you follow a masterpiece like The Seven Husbands of Evelyn Hugo? 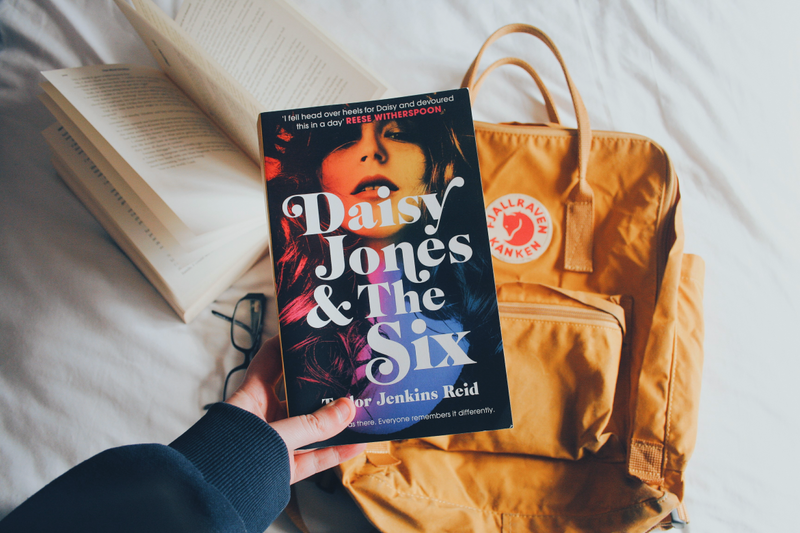 Of course, after reading one of my most favourite books of 2019, I needed my hands on Daisy Jones & The Six. A big thank you to Hutchinson and Penguin Random House for sending me a proof to review! Told in the form of an interview transcript, Daisy Jones & The Six tells the story of the band from their creation in the 70s to their eventual break-up in the 80s. To me, it’s a very experimental way of writing. I’m sure there are many books that are told this way. But for me to keep going with it and to actually enjoy it is something else in entirely. But I love that it’s told this way. Having one story told by so many different people means we don’t see the true story. Everyone is an unreliable narrator, and sometimes it’s obvious that one character sees an event differently from another. But sometimes it’s so subtle, or it’s even just the feeling of what happened. And you don’t realise until the very end how and why people tell the story the way they do. I don’t think you ever know which character is telling the truth or not. Which character is holding back? Which one is straight up protecting themselves from criticism? Along with this great way of story telling, this is, essentially, a fictional biopic. Biopics are one of my favourite types of stories, even if the person/people in question is/are fictional. It’s why I adored Evelyn Hugo so much and why I’ll continue to love Taylor Jenkins-Reid’s novels (if she continues writing them, that is!). I agree with other reviewers that each person who reads this book will come out of it with a different perspective of what they just read. Just like the characters themselves, we’re all going have our own opinions of these events, fictional or no. It really is the perfect book club book, and I would highly recommend buddy reading it with others to see what interpretations everyone comes out with! Fab review my lovely! I’m definitely curious to read this one (and I kind of want to get the hardback just because it’s so beautiful), but it’s in line behind Evelyn Hugo! Thanks boo! I mean you know my feelings about Evelyn Hugo it’s definitely my favourite of the two. But yay for putting Daisy Jones on your TBR as well! Apparently the author was VERY influenced by Fleetwood Mac so I reckon you might like it! Evelyn Hugo is definitely my favourite, but I really enjoyed this one too!